As the chef and founder of Harlem’s famous restaurant Melba’s, Melba Wilson takes her fried chicken seriously. This is the woman known for her Throwdown Fried Chicken recipe, which (with her eggnog waffles) won Bobby Flay’s throwdown on national TV. So when Wilson makes an oven-fried chicken, she’s not going to show up with some dried-out or limp and soggy “lite!” version that gives us the sads. Her baked chicken is going to deliver on taste, juiciness and crispness. 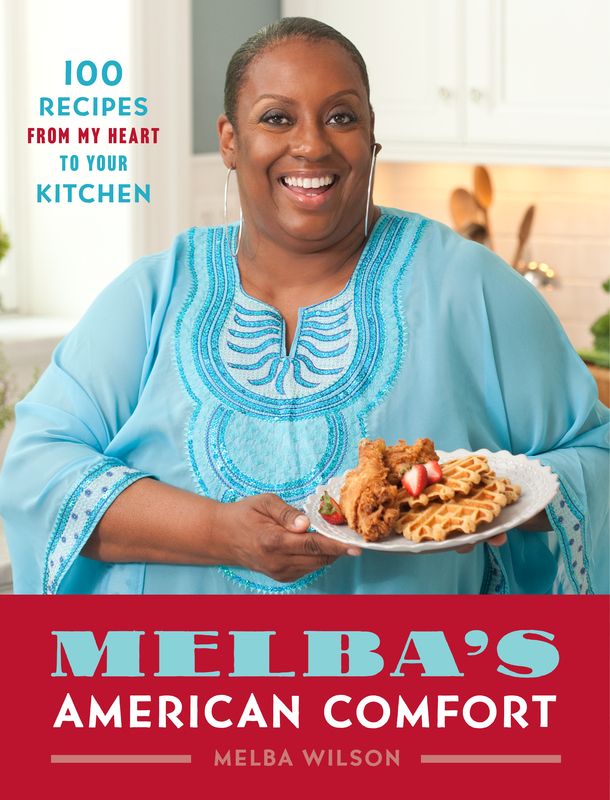 Here’s the oven-fried chicken recipe from new cookbook Melba’s American Comfort. I know Wilson is a woman after my own heart, because she uses dark meat. Melba, bless you. Clearly you know where the flavor of the bird lies. 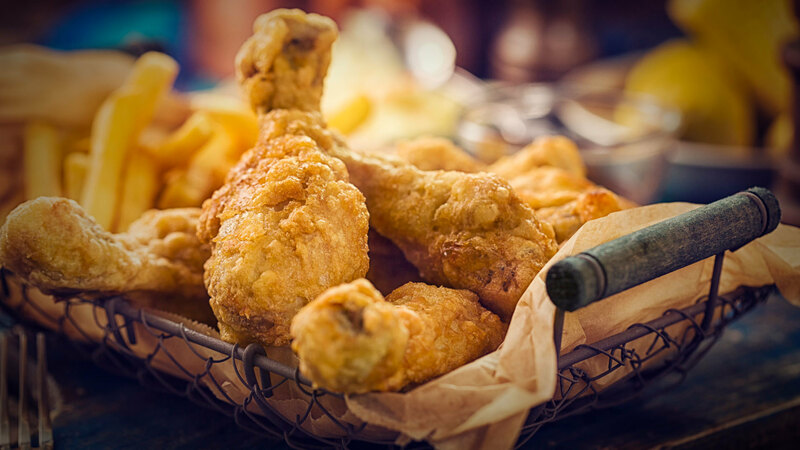 Image: Copyright © 2016 by Melba Wilson from MELBA’S AMERICAN COMFORT published by Atria Books, a division of Simon & Schuster, Inc.
With a lot less fat (and a lot less mess) but all the great flavor of traditional fried chicken, this is also a great way to serve fried chicken to a crowd. Just increase the quantities as needed, put it in the oven, and you’re done. You can even make it in advance and serve it at room temperature. Heat the oven to 375 degrees F. Spray a 9 x 13-inch baking pan with nonstick cooking spray. Put the chicken in a bowl, and season with the poultry seasoning, cayenne and 1 teaspoon of black pepper. In a second bowl, combine the breadcrumbs, the salt and the pepper, to taste. Combine the milk and mayonnaise in a shallow dish. Dredge the chicken pieces in the milk mixture and then in the breadcrumbs. Lay the breaded chicken in the prepared pan, and bake for 45 minutes. Then turn it over, and bake for another 15 – 20 minutes, until it is done. When done, it should register 165 degrees F on an instant-read thermometer, and when the chicken is pierced with a fork, the juices should run clear. Transfer to paper towels to drain before serving.